The Lenovo P2, which was officially unveiled back in September last year and went on sale a couple of months later, will soon be launched in India. This was revealed by the India subsidiary of the Chinese company in a tweet. 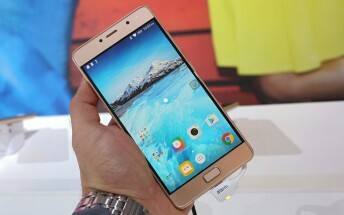 Specs-wise, the phone is powered by a Snapdragon 625 chipset, and sports a 5.5-inch full HD display. RAM options include 3GB and 4GB, while storage is 32GB. In terms of camera, the P2 features a 13MP/5MP combo. A large, 5,100mAh battery is there to keep the lights on. The handset launched carrying a price tag of €249/€299 in Europe. There is currently no information on exactly how much it'll cost in India.